When home-grown art-rock stalwarts The Observatory travelled to Bergen, Norway, last August to record their latest full-length work, the SG50 celebrations were reaching their climax. At the same time, the regional haze was rising to some of the most toxic levels. 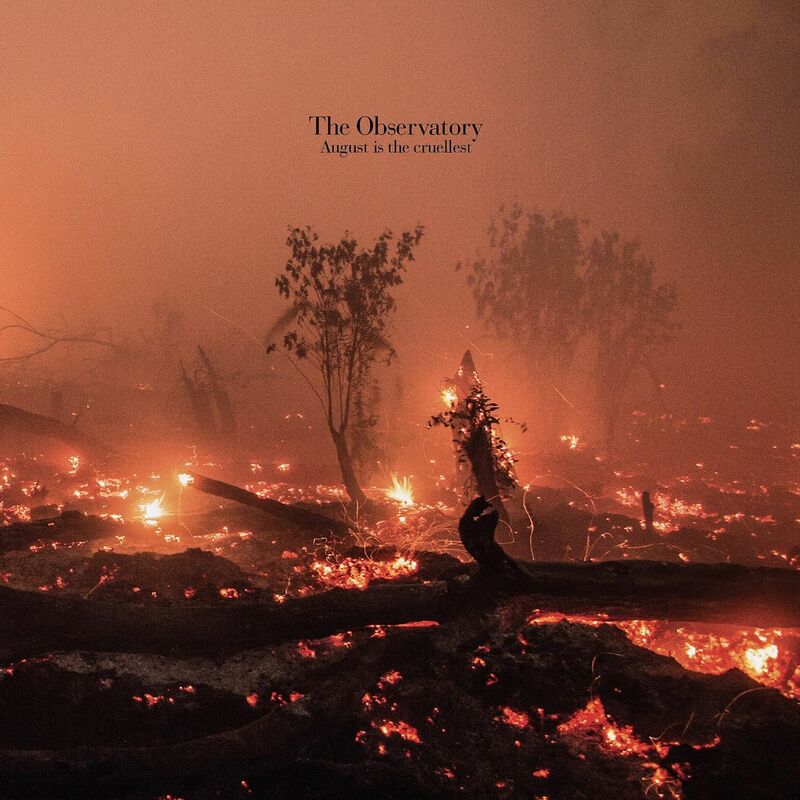 One of the few prominent bands here who have never been shy about being politically resolute in their music, The Obs fill up August Is The Cruellest, their eighth album, with some of their most visceral and strident anthems to date. "Will you remember what is right? What is wrong? Will it matter if you were alone?" singer and guitarist Leslie Low asks in the title track, which is not exactly National Day Parade material. Clearly, the new songs have more in common with the jarring rock of 2014 release Oscilla than last year's Continuum, which explored traditional Balinese music. Although Low's baritone floats above an intricate layer of urgent and raucous noise, there is melody to be found above the drone and fury - the gothic overtones and post-punk grooves are almost catchy and you could find yourself humming along to some of the tunes. You Have No Heart is one of the more compelling tracks, simply because it works on so many levels. Like many of the other songs, it is anchored by an insistent droning rhythm that hypnotises. However, stripped of the layers of discordant noise, it could pass off as a dark-folk anthem. Low's layered harmonies are reminiscent of his voice from his Humpback Oak days, although in a deeper and darker form, as he intones: "You have no heart/Your heart is lying on the concrete pavement floor/Only asphalt in your dreams." Wait For The Real Storm, a 10-minute industrial-like dirge with an extended instrumental break, directs its venom at apathy: "These pacifiers stuck in our mouths/Spit 'em out if we have a conscience." The band - recording their first album as a quartet, including Vivian Wang on synth bass, Yuen Chee Wai on guitars and electronics and Cheryl Ong on drums and percussion - dial down the dissonance on album closer The Weight Of It All. Amid a creeping tempo and eerie atmospherics, the song is a call to heal: "All I ask for is love for all kinds/Even the worst kind/It's somewhere within you/Even the worst." Even in the gloomiest and cruellest of times, hope remains vital.